High blood pressure affects around 25% of the population and can increase the risk of stroke, heart failure, artery disease and also vascular dementia (1). The National Institute for Health and Care Excellence (NICE) guidelines exist to aid GPs in combating high blood pressure and its effects. Current NICE guidelines are scheduled for review and it is suggested that later this year guidelines will be updated leading to more prescriptions being issued for high blood pressure. 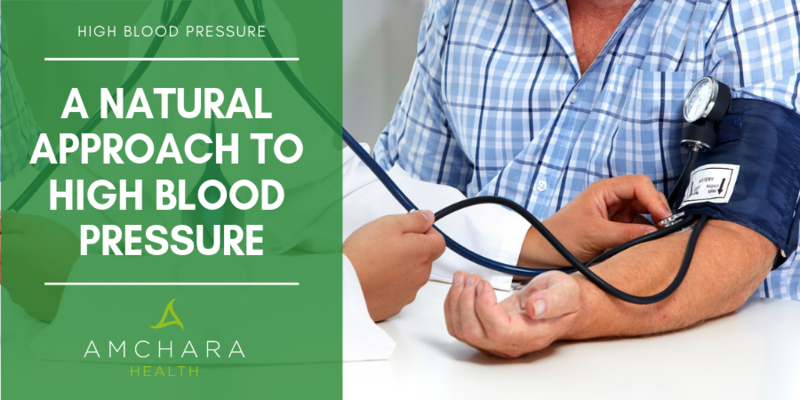 In this article we discuss the impact of these new guidelines and whether there is a more natural way to lower blood pressure than overprescription of drugs. NICE regularly reviews many of its clinical guidelines and during 2019 the guideline on hypertension, high blood pressure, is up for debate, with results scheduled to be published in the latter half of the year. High blood pressure is an increasing problem for the medical profession and is the third biggest risk factor for disease after cigarette smoking and poor nutrition (1). Current NICE guidelines state that a GP should prescribe blood pressure lowering medication to people with an average blood pressure of 135/85 mm/Hg or more if they also have a 20% or more risk of cardiovascular disease in ten years. This risk is assessed through looking at age, gender, body weight, family history and whether the person smokes or drinks alcohol. Proposed changes to the guidelines include lowering the percentage risk for cardiovascular disease from 20% to 10%. This means that prescriptions for blood pressure lowering medications could rise drastically and could mean that almost three quarters of a million more people may be given a prescription. This increase in prescriptions for pharmaceutical drugs may be seen as a way to increase management of high blood pressure and also to reduce the risk of serious health conditions. But prescription drugs often come with side effects. Common side effects seen with blood pressure lowering medication include headaches, dizziness, swollen ankles, constipation, cold and flu-like symptoms and a dry, persistent cough (2). Blood pressure may be affected by many factors and some of these cannot be altered, for instance blood pressure increases as we get older, certain ethnicities are more predisposed to high blood pressure and there is a genetic link (3) which may explain why family history is so important. 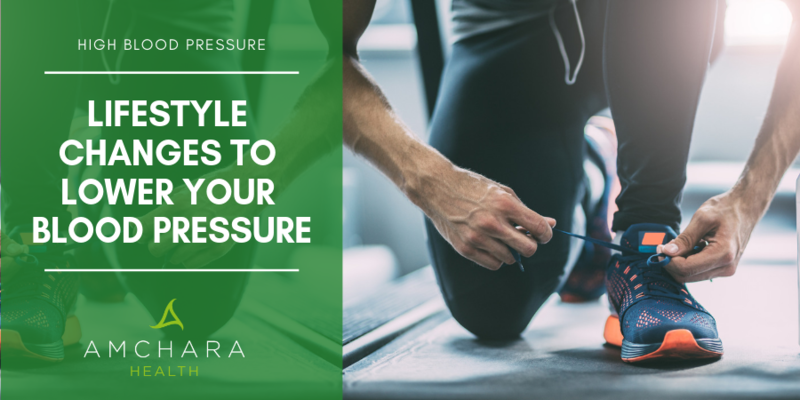 There are however several factors that raise blood pressure that are modifiable – meaning they can be altered. Let’s take a look at some more natural ways to approach high blood pressure. Being overweight or obese is a known risk factor for developing high blood pressure, this is due to the fact that there is more body mass for blood to circulate to. Losing weight can give significant reductions in blood pressure which can be maintained long term (5). Even modest reductions in weight can be beneficial. There can be many factors involved in weight gain and it can often be hard to know where to start to achieve sustainable weight loss. Manipulating or adjusting the type of foods eaten is often the first port of call. More recently there has been an interest in not just what food is eaten but when it is eaten. Intermittent fasting and time restricted eating (TRE) are patterns of eating that leave a period of time without food (fasting). The 16:8 diet is an example of this, where food is consumed within an 8 hour window and in the remaining time only water is consumed. With so much interest in intermittent fasting, interesting research has come to light. Many types of intermittent fasts give significant weight loss (6,7). Some can argue that as food is restricted to a shorter ‘eating window’, calories may be reduced, and this may explain the weight loss. TRE may also reduce bad habits such as snacking or drinking alcohol late into the evening - factors which may contribute to weight gain. One of the other benefits of fasting and calorie restriction is the positive effect on blood pressure. Reductions in blood pressure have been seen in an eating pattern similar to the Michael Mosley 5:2 diet (8), as well as calorie restriction every other day (9). The negative health effects of cigarette smoking are well known, including the increased risk of developing cardiovascular disease. Smoking can affect blood pressure through several actions in the body, one of these is through nicotine’s ability to directly influence adrenaline production (10). Adrenaline is part of the ‘fight or flight’ stress response and immediately prepares the body for action, including raising blood pressure. In addition to this, cigarette smoking increases stiffness of arteries (11) by damaging the linings of the blood vessels, which makes it harder for blood to flow effectively. Smoking can increase the risk of stroke by up to 6 times compared to non-smokers. It is not just cigarettes that are linked to poor cardiovascular health but electronic cigarettes also seem to be involved in changes that lead to an increased risk of cardiovascular issues (12, 13). Giving up smoking may be difficult and there is often no one quick method. It takes determination and support. Quite often the bad habit of smoking gets replaced with another bad habit and practising positive activities to keep the mind busy can be beneficial. Taking up a new hobby, practising mindfulness, meditation or yoga may be of use. Exercise not only takes the mind off smoking but also helps to release feel good chemicals that may help with mood. 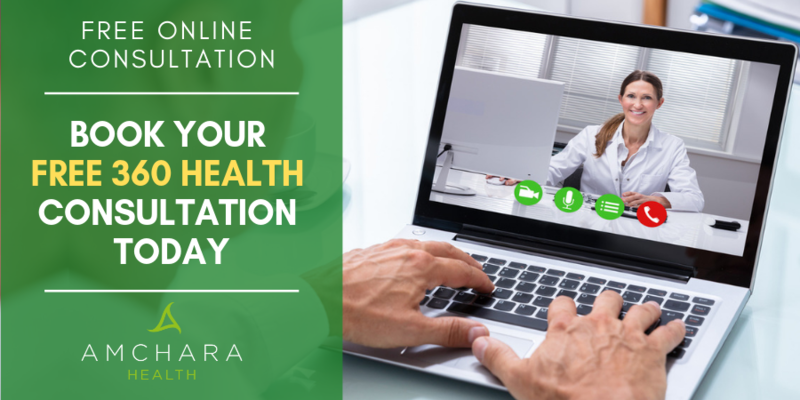 It is becoming increasingly common to experience a high level of stress. This can be due to isolated physical, emotional or psychological factors, or to a combination. Work related stress is on the rise and is responsible for a large increase in ‘sick days’ from work. Stress has many physiological effects upon the body and the stimulation of adrenal hormones, such as adrenaline and cortisol, are both known to impact blood pressure (10, 14). Stress also causes changes in the body and inflammation that can lead to damage to arteries, impacting blood pressure (15). There are many stress reduction techniques and in order to gain maximum benefits on blood pressure a combination of several techniques may be more effective. Yoga is known to support the relaxing parasympathetic nervous system (16) and greatly benefits blood pressure (17). Relaxation techniques like focussed breathing and progressive relaxation are also beneficial for stress. Adequate sleep is vital for balancing the nervous system and tackling stress. Disruptions to sleep, or short sleep duration, can increase the risk of high blood pressure (18). Good sleep patterns can be encouraged by environmental changes such as reducing room temperature and keeping the room dark. Exposure to adequate daylight is also important for sleep patterns. A lack of physical activity increases the risk of many conditions including high blood pressure and other cardiovascular diseases. Being sedentary is now said to be as detrimental as smoking. Keeping active during the day need not be difficult - simple steps such as taking the stairs, walking instead of getting the bus and doing housework or gardening all count. Swimming, walking, cycling and gentle jogging are useful ways to start increasing activity levels. Always consult a doctor before embarking upon new exercise routines, particularly if you have existing medical concerns. As long as there are no medical issues preventing exercise, aim for 30 minutes exercise that raises heart rate 3-4 times a week. Being physically active is also beneficial for mood and sleep – so it can also help with stress reduction and giving up smoking. There is abundant evidence that alterations to nutritional intake can favourably impact blood pressure and overall cardiovascular health. The Mediterranean diet is known to be one of the most healthful diets and includes fruits, nuts, vegetables, legumes, olive oil, oily fish, and is low in meat and dairy. Eating a Mediterranean diet rich in fruits, vegetables and olive oil reduces blood pressure (19). The Mediterranean diet is also known to be anti-inflammatory and can reduce insulin sensitivity, as well as improve cholesterol levels and support weight loss (20). Another eating pattern that has been shown to support healthy blood pressure is the “Dietary Approaches to Stop Hypertension” (DASH) diet (21). It is high in fruits, vegetables and low-fat dairy products and low in saturated fat, total fat, and cholesterol. The DASH diet includes poultry, fish, nuts and wholegrains and there is an emphasis on reducing sugar and red meat - it has many similarities to the Mediterranean diet. Reducing salt in the diet is a key recommendation for controlling blood pressure as a high level of salt increases water retention which means there is more circulating blood - making the heart and arteries work harder to circulate it effectively. A daily salt intake of 6g a day or less is suggested and studies show that even a modest reduction in salt intake for a month causes blood pressure to reduce (22). Dietary salt restriction can decrease the number of deaths from high blood pressure, stroke and other cardiovascular diseases (23). Alcohol can impact the body in several ways and drinking 3 or more drinks in one day can increase blood pressure temporarily. Long term intake of alcohol also causes lasting effects on blood pressure. It is thought that alcohol affects blood pressure by stimulating stress hormones, affecting blood vessel walls and increasing inflammation and damage to blood vessels (24). There is some evidence to show that reducing alcohol intake to two or fewer drinks per day can significantly reduce blood pressure (25). NICE guidelines on high blood pressure recommend that excessive caffeine intake is discouraged. Caffeine stimulates the sympathetic nervous system which is part of the ‘fight or flight’ reaction. This is known to increase blood pressure. Studies show that those who do not normally drink caffeine containing beverages are more susceptible to the effects on blood pressure, while habitual coffee drinkers do not show an increase in blood pressure (26). Interestingly, decaffeinated coffee also had an impact on blood pressure in non-habitual drinkers, indicating that other compounds - not just caffeine - play a role in elevating blood pressure. With so many natural approaches to tackling high blood pressure, it is unclear why NICE guidelines are focusing on changing recommendations in favour of prescription medication rather than focusing on lifestyle interventions. Beneficial changes may be made independent of medication or in conjunction with the use of high blood pressure medication and as the research shows, the benefits can be significant and drastically lower the risk of further cardiovascular problems. If you have high blood pressure we would love to hear from you. Please tell us your thoughts on this article. Have you been trying to lower your blood pressure naturally? Please leave your comments and feedback below.